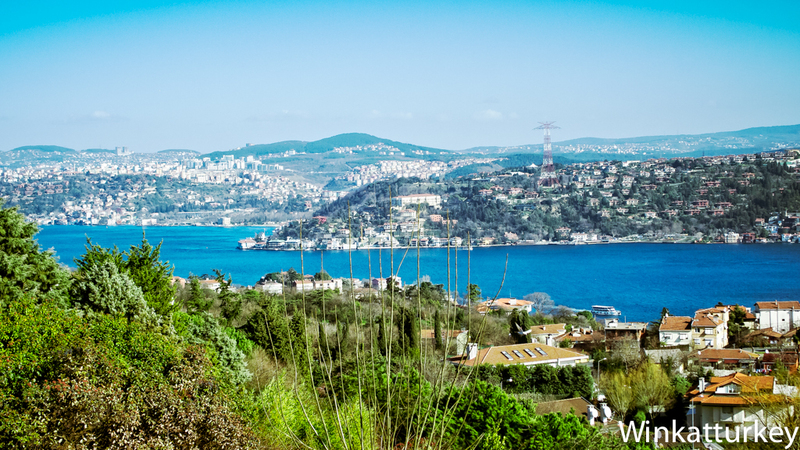 With its 14 million inhabitants, Istanbul is a city of frantic activity and unbearable traffic.. Visitors may think that there is no place for a break in this megapolis, but Ulus Park is one of the few remaining places that preserve the original spirit of the ancient forests along the Bosphorus which ended up becoming the city we know today. 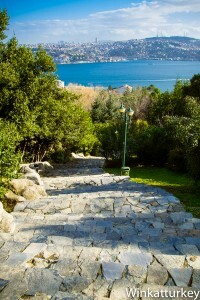 Ulus Park is located on the hills between Ortakoy and Bebek, near the first bridge over the Bosphorus. To get from Taksim you can take the DT1 bus that also stops in Ortakoy. Given the steep slopes of the park, it is best accessed from the top and stroll down the gardens, always admiring the spectacular views of the strait at our feet. 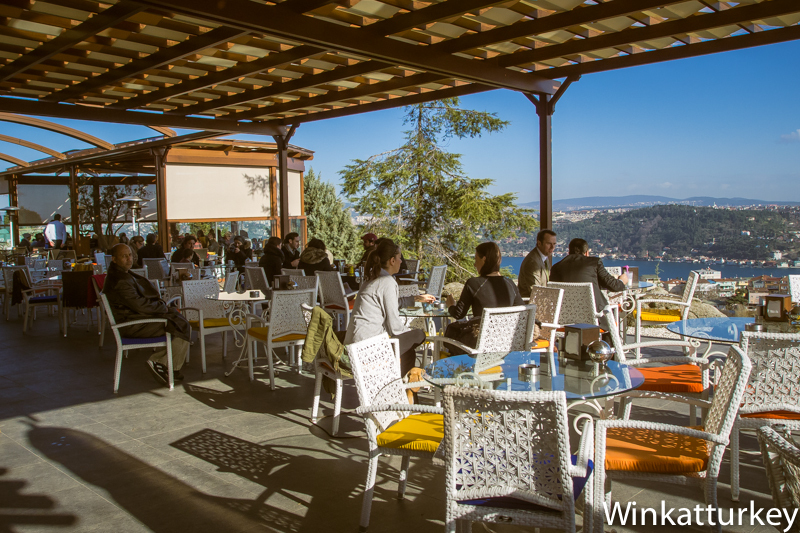 Upon entering, we find the Ulus coffee, a highly recommended a place to relax after a busy touristic day exploring mosques, palaces and museums. Time stops as we contemplate the passage of ships between the Sea of ​​Marmara and the Black Sea, to the right you can see the bridge that links Asia and Europe. The City of Istanbul offers a webcam that gives us an idea of ​​all of this. Click here. Along our walk we will find another coffee, which is closed in winter, and many places to sit to enjoy the scenery and tranquility of the place. When we arrive to the end of the park, we can continue on the road to the left until we reach the Bosphorus or go to the bus stop and taxi to the right of the park exit. From there we can visit well-known places located on the European shore of the strait such as Ortakoy Mosque or Rumeli Hisari Fortress.